Today on Life in 22 Minutes Scott and Becky welcome Jason Hall. 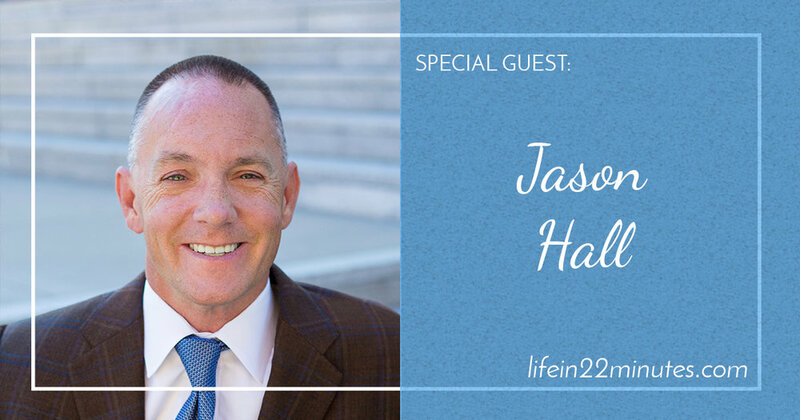 Jason Hall is a top-rated motivational speaker and expert in dealing with change, overcoming adversity, and creating success. At age 17, Jason’s life changed in an instant when a diving accident left him quadriplegic. In spite of another life-threatening car accident, numerous surgeries, and literally years of hospitalization, Jason has found a way to turn his tragedy to triumph and has dedicated his life to help others do the same. Born in Boise, Idaho, Jason was the Student Body President for the nearly 22,000 students at Brigham Young University—the nation’s largest private university. He has been one of the top 6% of insurance professionals around the world as a member of the Million Dollar Round Table and currently spends his time as a sought after motivational speaker and has presented to hundreds of groups from 5 to 5,000 across the nation and around the world. Jason has a unique ability use with entertaining wit, powerful insight to teach others how to find “Success in Every Circumstance.” He currently lives in Syracuse, Utah with his wife Kolette and son Coleman. Jason’s Past Clients Include: Million Dollar Round Table, Citibank, Visa, Wells Fargo, New York Life, Adecco, Boy Scouts of America, United Way.